Amsterdam Airport Schiphol is the main airport of the Netherlands. It is situated about 15 kilometers to the South of Amsterdam. 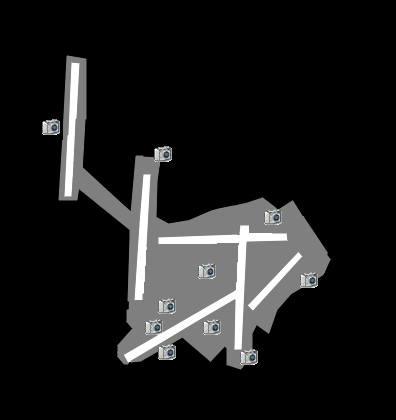 Schiphol has 6 runways: Aalsmeerbaan (18L-36R), Zwanenburgbaan (18C-36C), Polderbaan(18R-36L), Buitenveldertbaan (09-27), Kaagbaan (06-24) and Schiphol-Oostbaan (04-22). The last one is normally used for general aviation.